LONDON, April 15, 2019 /PRNewswire/ -- Iconic British brand Ben Sherman announces an exciting multi-year agreement that will see it appointed as an official supporter to Team GB for the Tokyo 2020 Olympic Games and beyond. The brand will support the nation's finest competitors during the world's greatest sporting event. Ben Sherman will create exclusive looks to be worn by the British athletes during the official Opening Ceremony, as well as additional lifestyle apparel for retail. 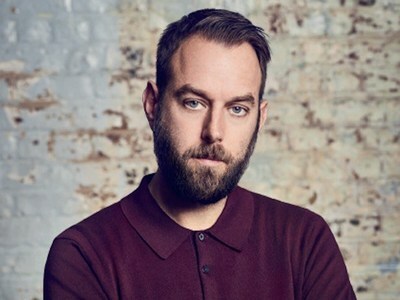 Ben Sherman Creative Director, Mark Williams will head up the design direction of the Opening Ceremony looks while also designing a capsule collection of supporters-wear. Williams, who has been with the brand since 2006, comments: "It's a real honour to be tasked with designing the collection. We will use the brand's heritage, authenticity and aesthetic excellence to inspire the very same athletes who inspire us with their dedication, and sportsmanship. The design elements will hold true to the spirit of the Olympics and Great Britain. We want the athletes to feel an immense sense of achievement and unity while representing the nation during the Opening Ceremony." Fans will be able to purchase an exclusive capsule collection that will be available at Ben Sherman standalone stores, on bensherman.co.uk and at select retailers. Since the British Olympic Association receives no annual government funding and is reliant on private and corporate sponsors, proceeds from the sale of the Ben Sherman official Team GB apparel will support British Olympians. The partnership will be the second time that Ben Sherman has been appointed to work with Team GB having provided official outfits for the Athens 2004 Olympic Games. Cory M. Baker, Chief Operating Officer of Marquee Brands, Ben Sherman's parent company, states that the partnership is "a time to come together and root for the athletes and for the icons that best represent the country. I think fashion has found a home at the Olympics for much of the same reason. Ben Sherman is so intrinsically connected to its home here in the UK and now it joins a host of globally recognized brands, which are showcased at the Olympic Games." Talbot Logan, who oversees the global Ben Sherman business as SVP, Brand Management at Marquee Brands adds: "From the beginning, the Ben Sherman brand has always been about inspiring each of us to be the best we can be – which is why working with Team GB makes perfect sense. Team GB reminds us to believe in the extraordinary ability within each of us. In addition, Ben Sherman has always taken pride in our history of celebrating music, culture and sport." British Olympic Association Commercial Director, Tim Ellerton, is keen to highlight the authenticity and creativity the Ben Sherman partnership brings: "Ben Sherman is a heritage brand synonymous with British fashion and having worked together for Athens 2004, they know what Team GB means in this country. "The Opening Ceremony of a Games is a unique moment when the eyes of the world are on the team before the excitement of Tokyo 2020 commences. "Ben Sherman is known for its creativity and class and we are already excited about the designs they have in mind that will introduce the brilliant Team GB athletes to the world at the Games in the best possible way." 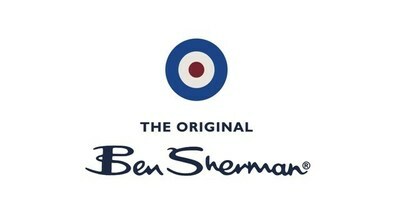 Ben Sherman is an Official Apparel Provider to Team GB. The athlete product range includes the official Team GB Opening Ceremony and Team GB lifestyle apparel. A retail capsule collection will also be produced launching in-stores and online May 2020.